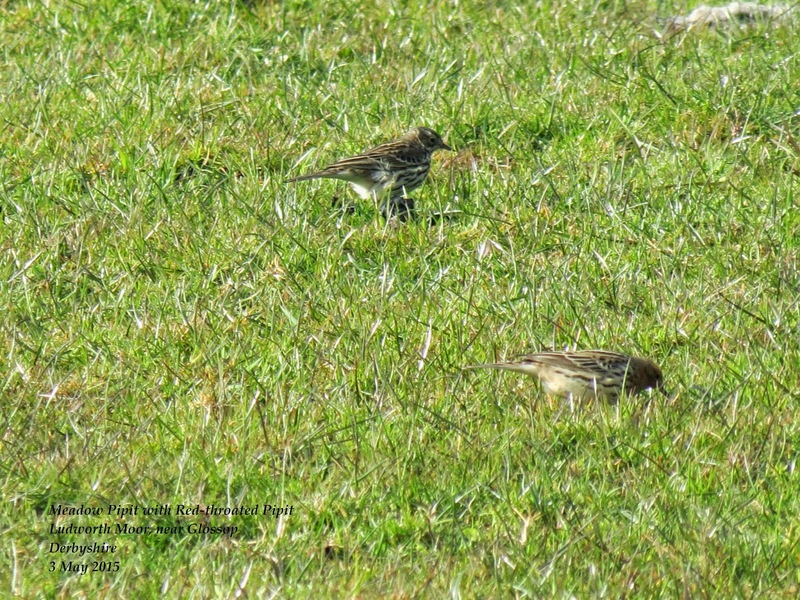 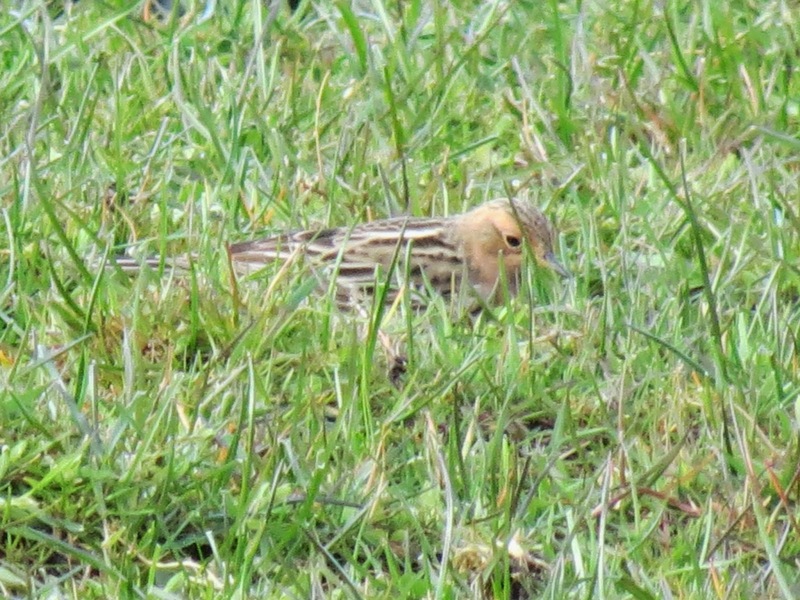 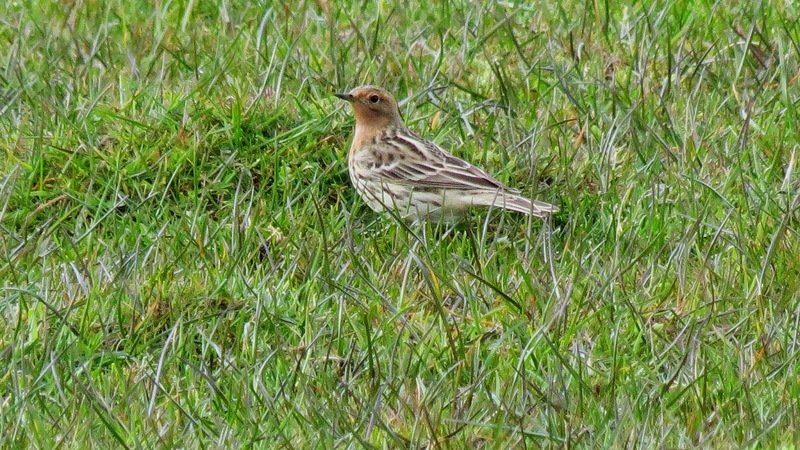 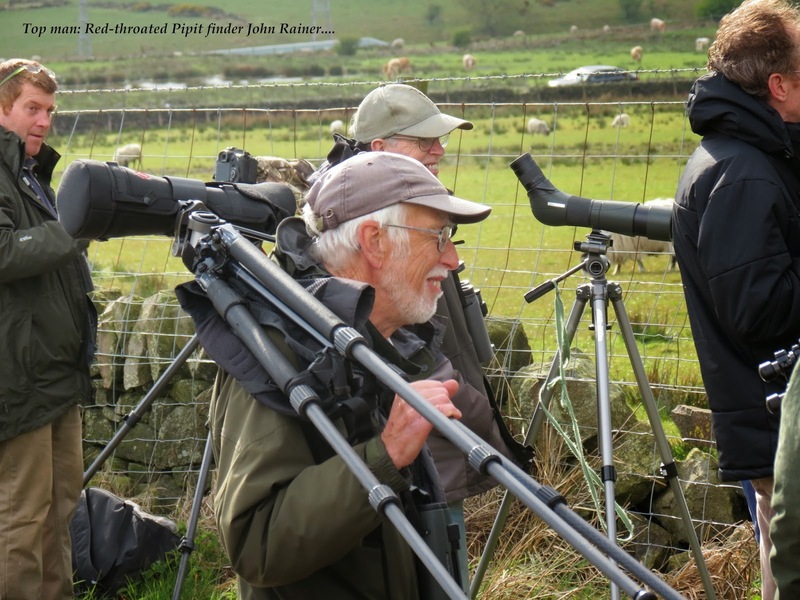 When local patchworker John Rainer made a visit to Ludworth Moor (Derbyshire/Gtr Manchester border) to count and check on Northern Wheatears, little did he expect the first bird he sets eyes on to be a RED-THROATED PIPIT!! 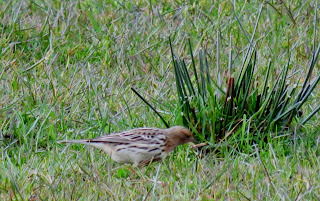 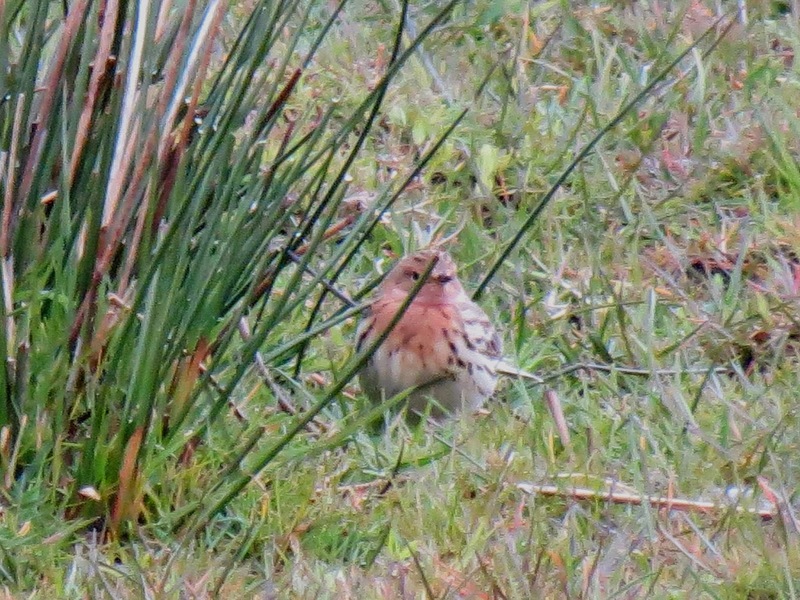 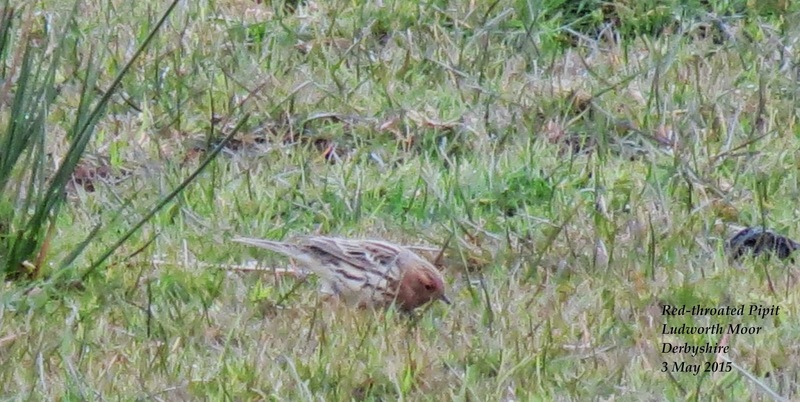 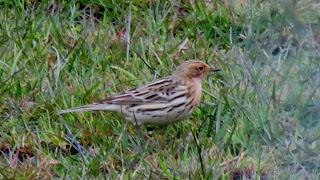 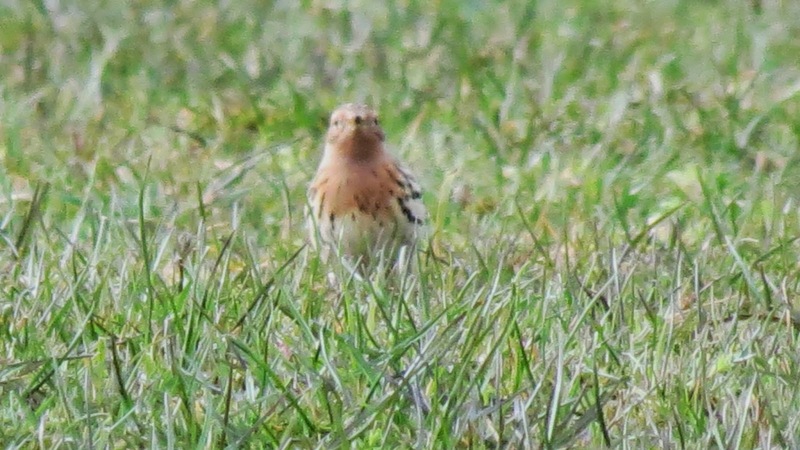 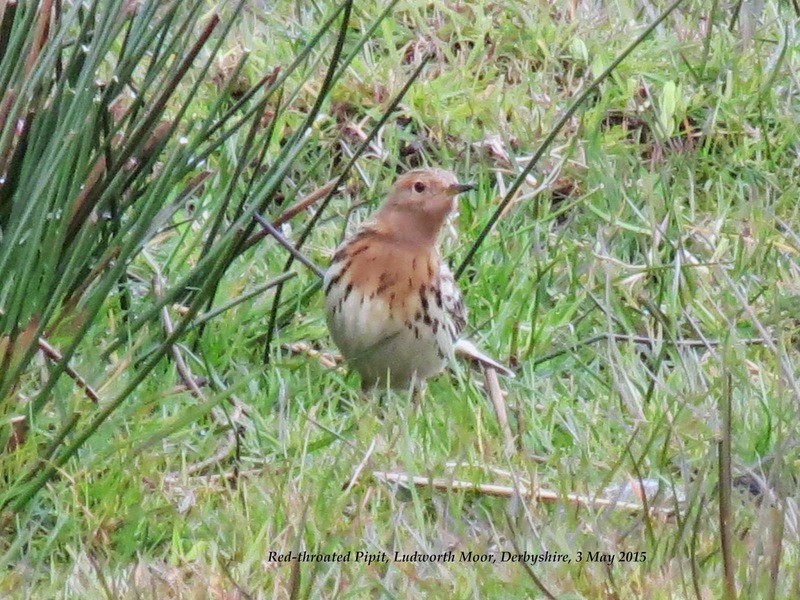 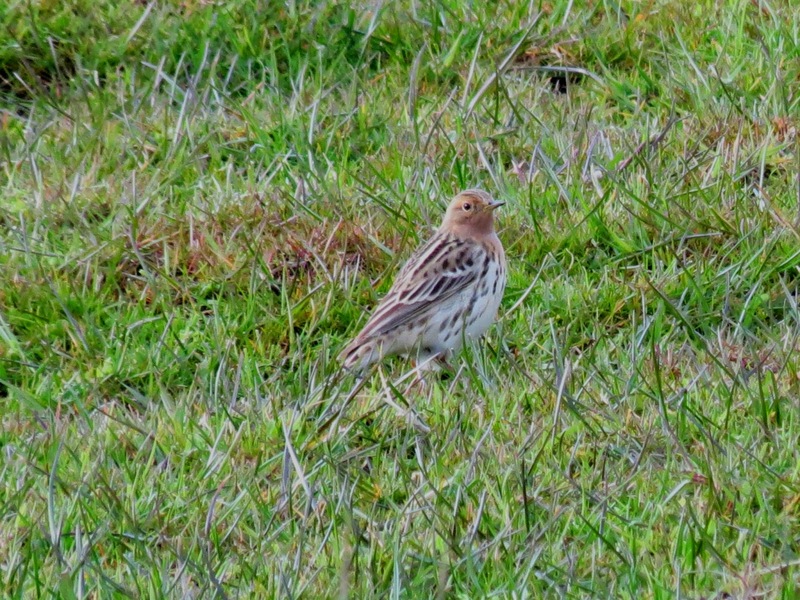 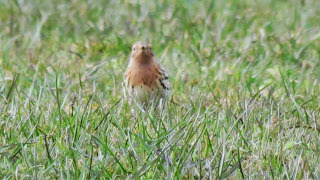 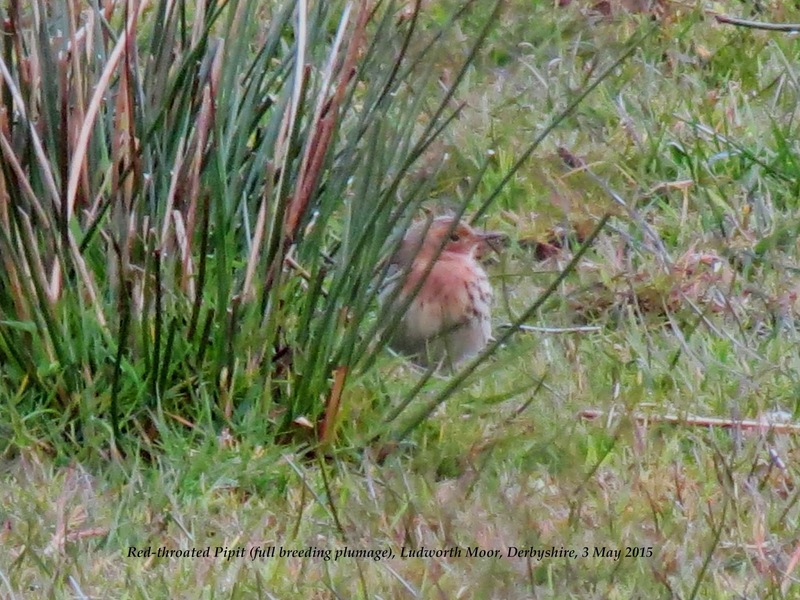 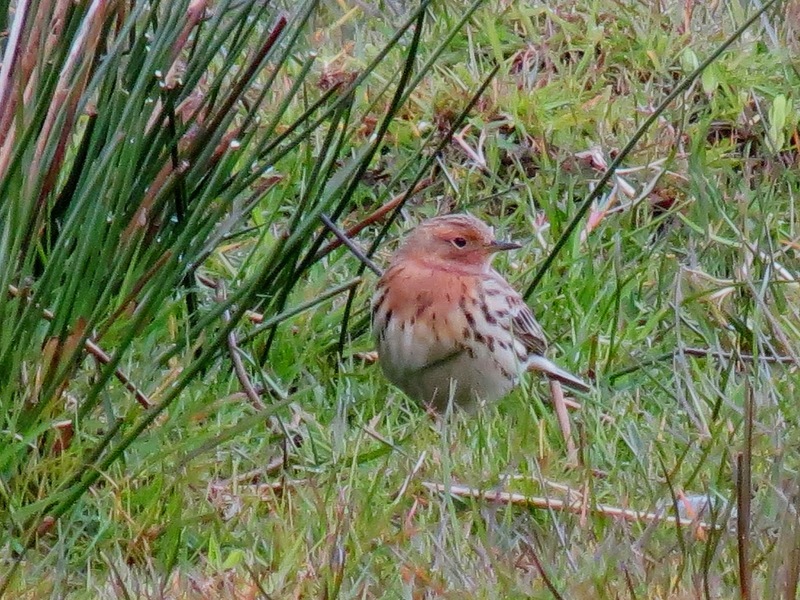 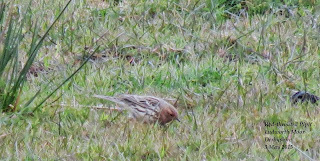 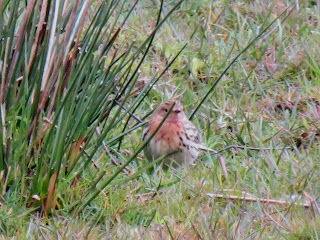 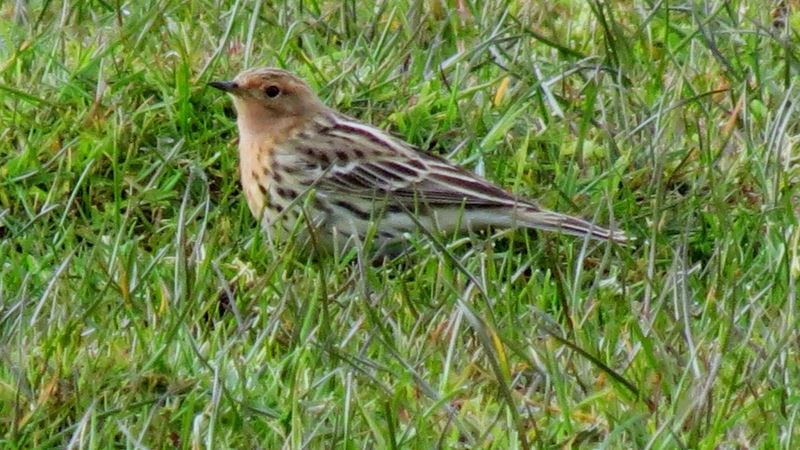 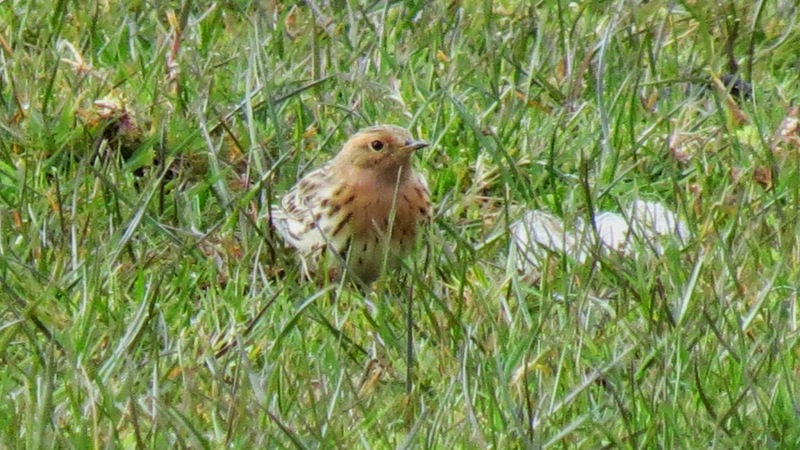 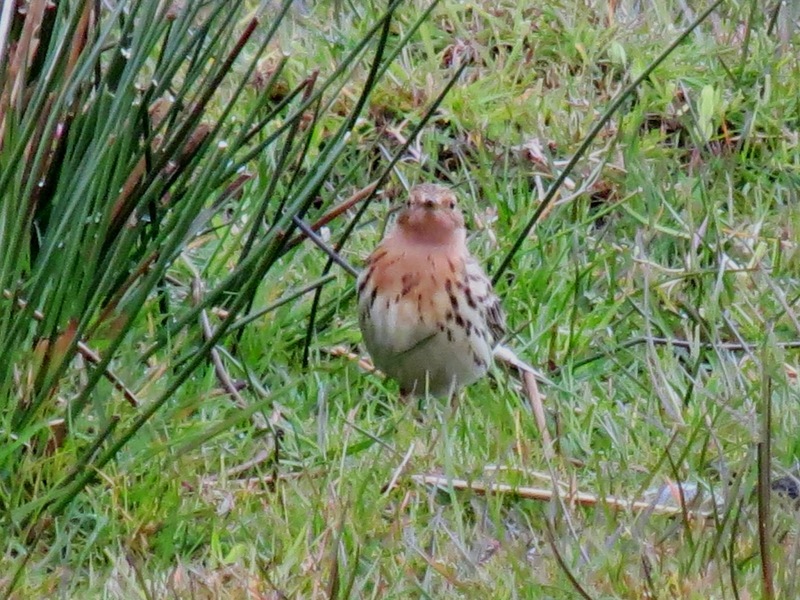 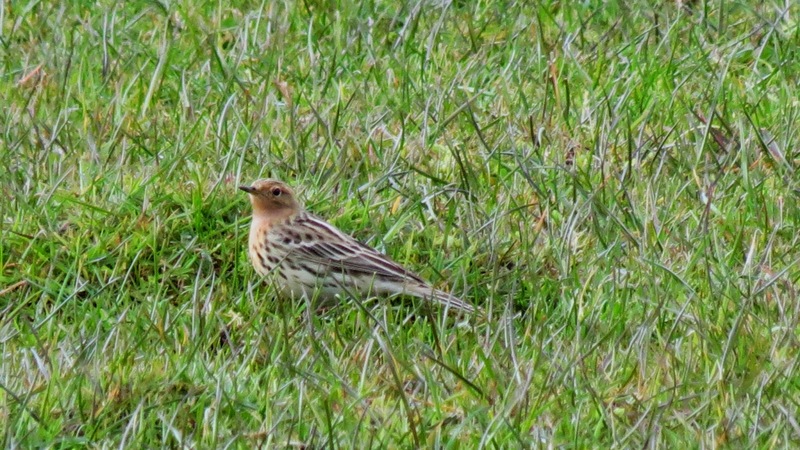 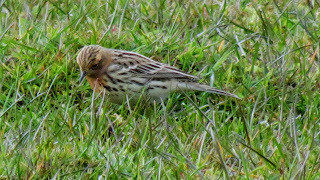 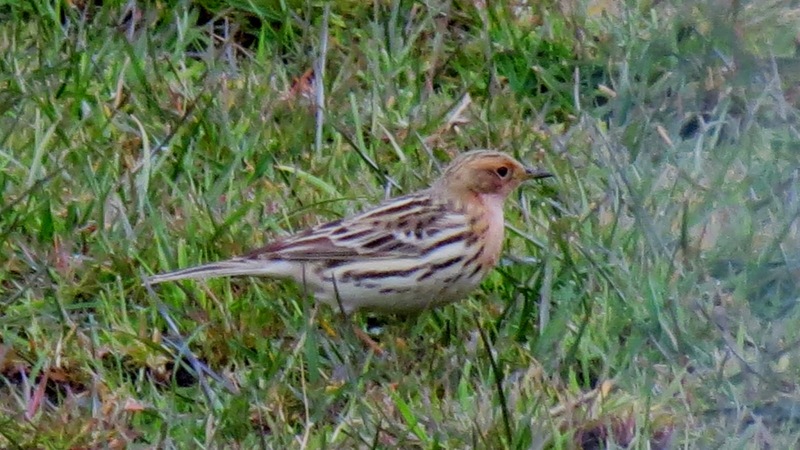 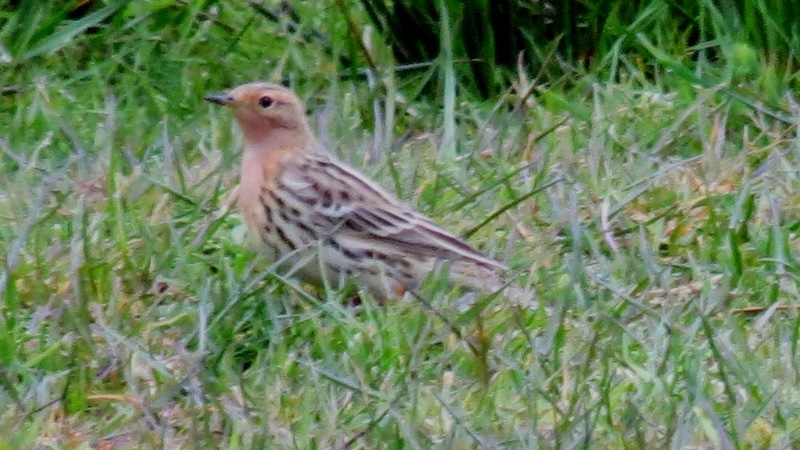 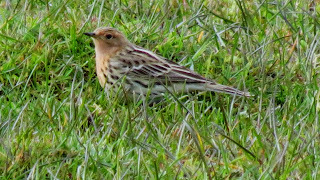 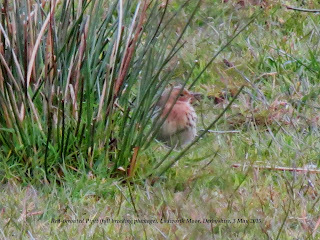 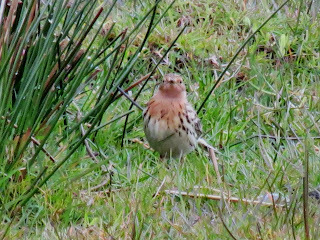 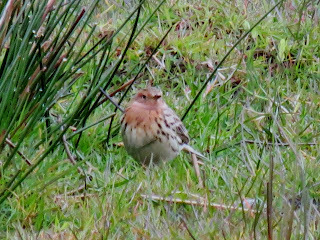 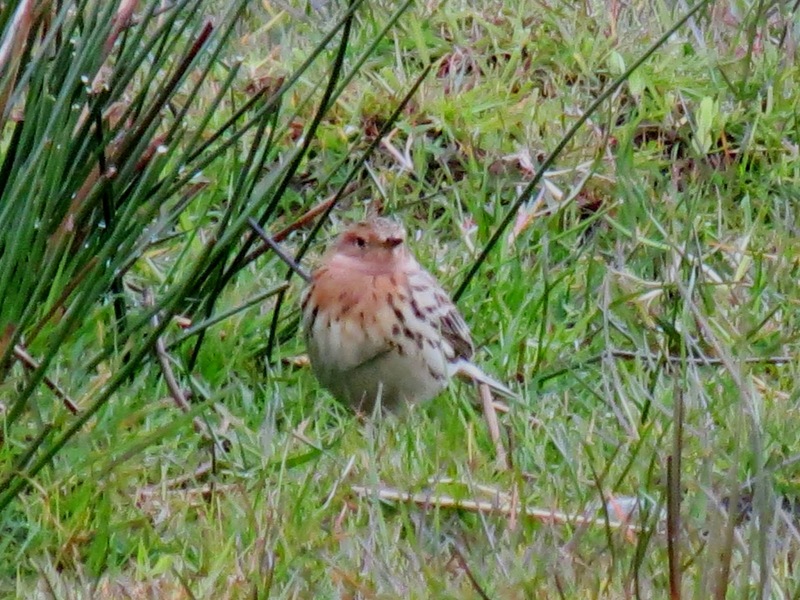 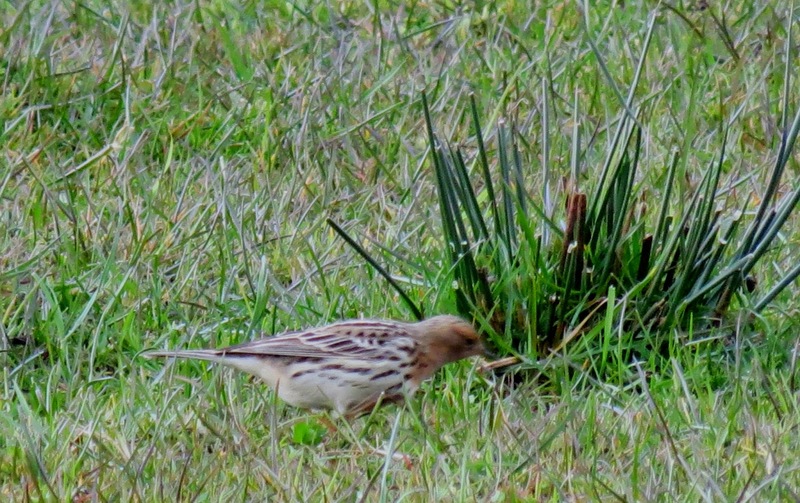 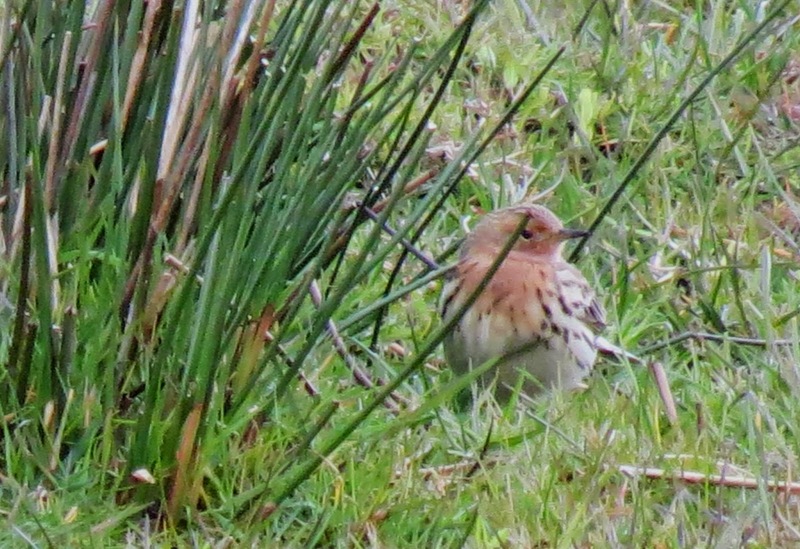 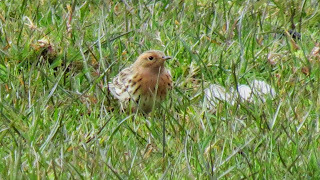 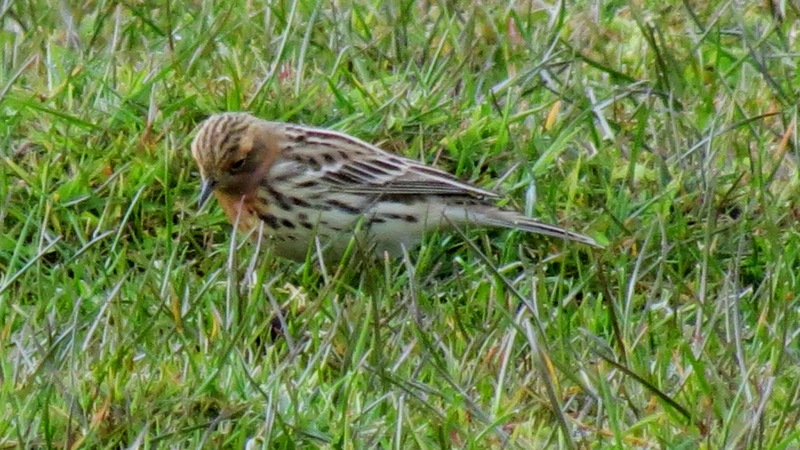 Not only that, the bird was in stupendous salmon-pink breeding plumage - certainly a sight to behold. 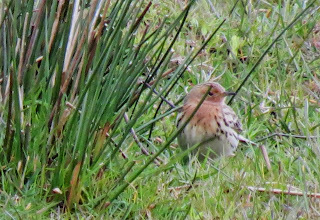 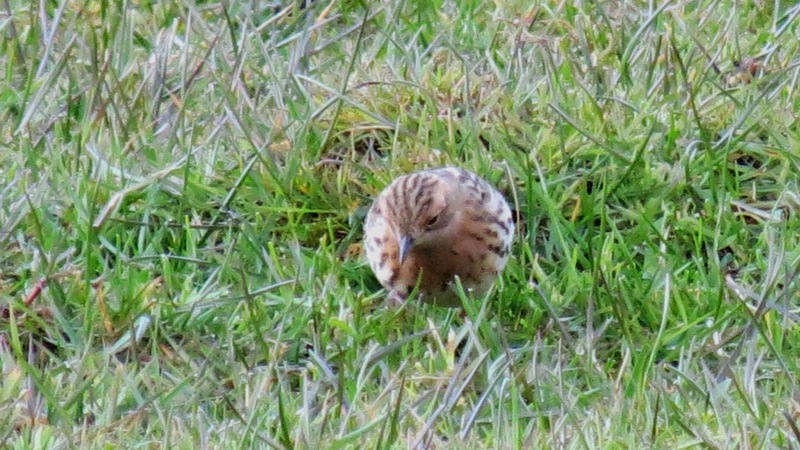 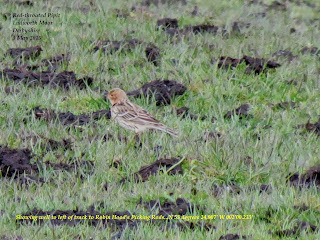 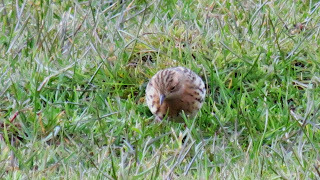 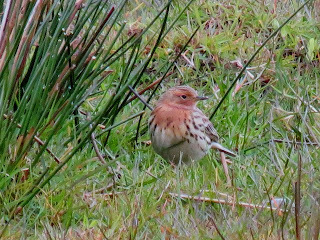 The bird had made landfall on the extreme western edge of the Peak District with a party of 40 or so Meadow Pipits on route north and was in a sheep field west of the track that leads up to Robin Hoods Picking Rods at SK 004 910. 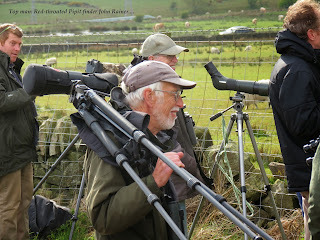 John immediately realised the enormity of his find and within minutes placed his find in the public domain. 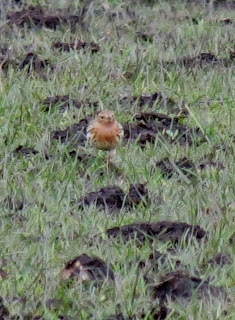 Fortunately for all, the bird remained faithful to the same field for the rest of the day, delighting well over 300 observers before it roosted just after 8pm. 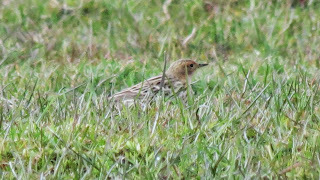 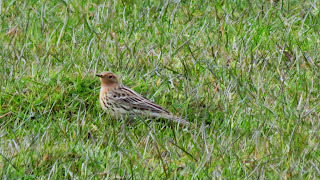 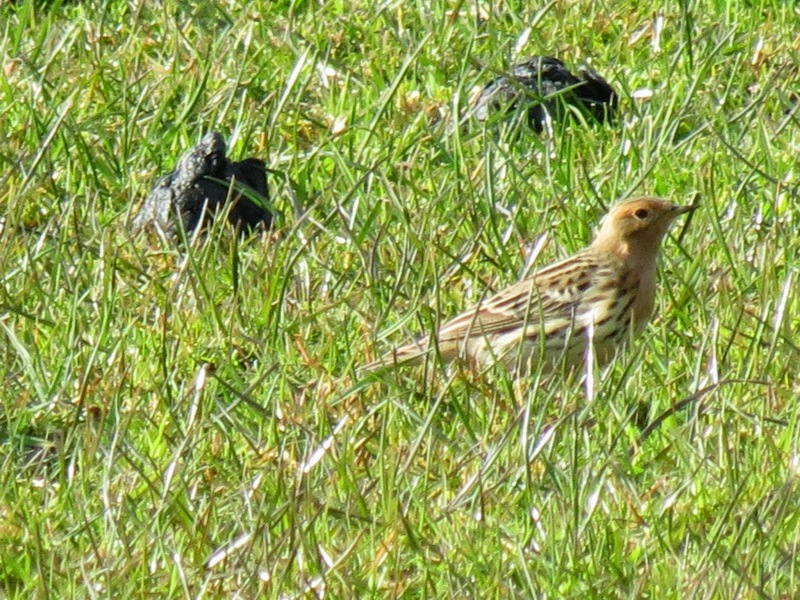 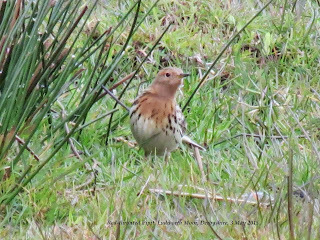 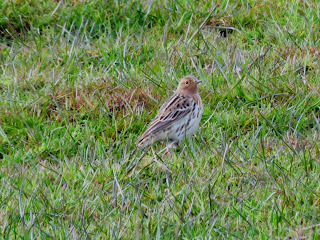 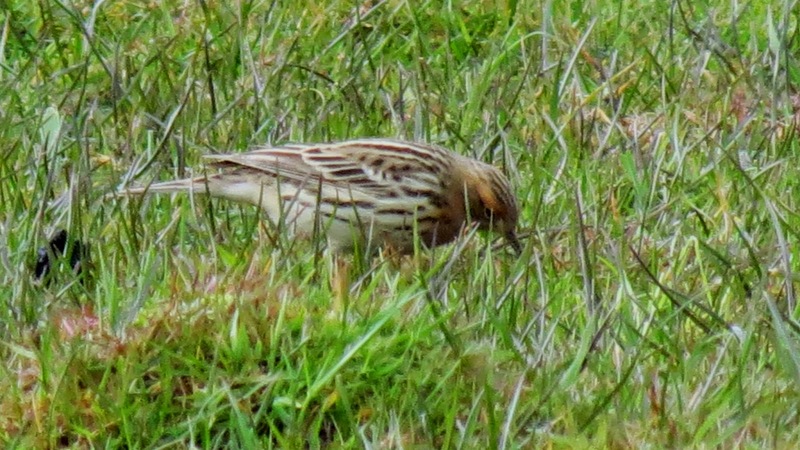 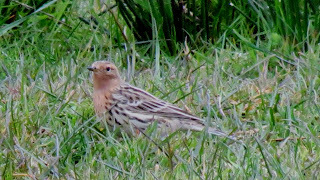 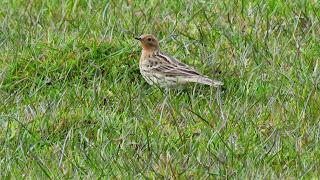 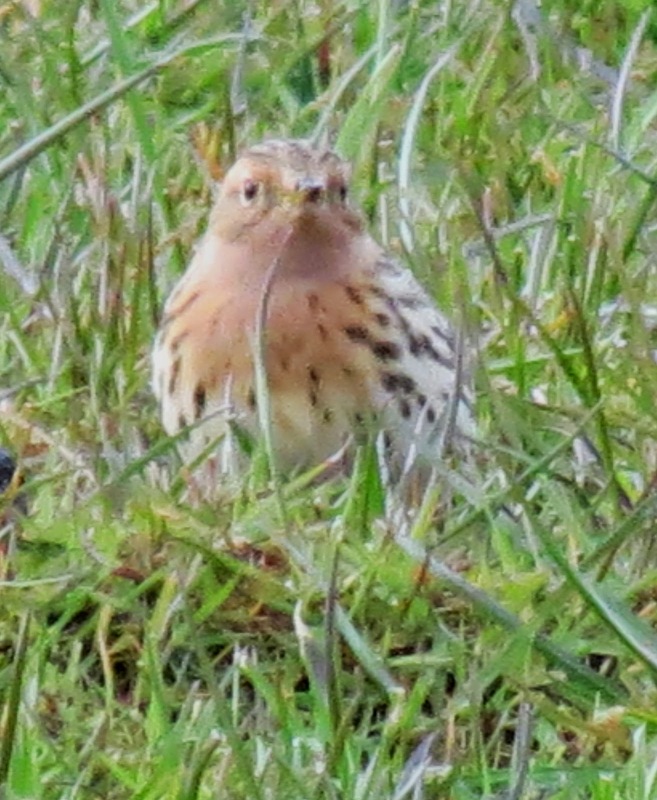 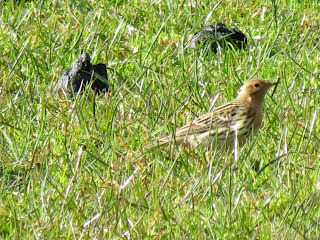 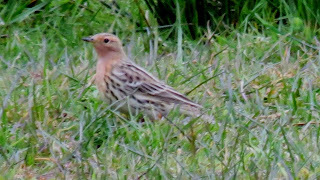 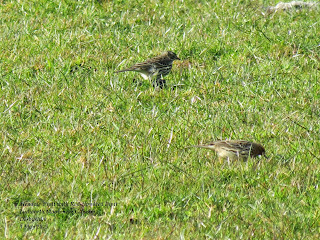 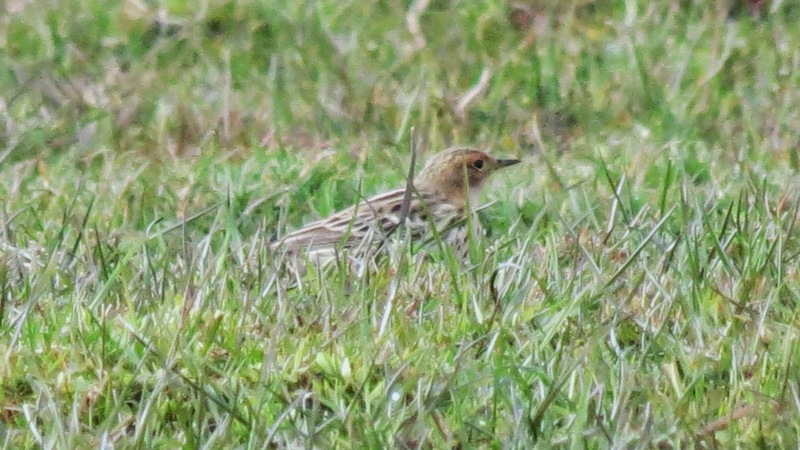 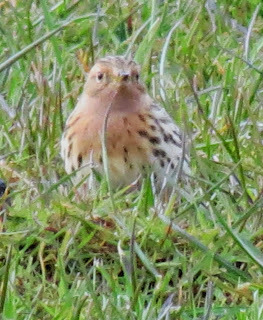 Although Red-throated Pipits are annual in Britain with a yield of up to 10 per annum, twitchable individuals are few & far between, particularly in such outstanding plumage. 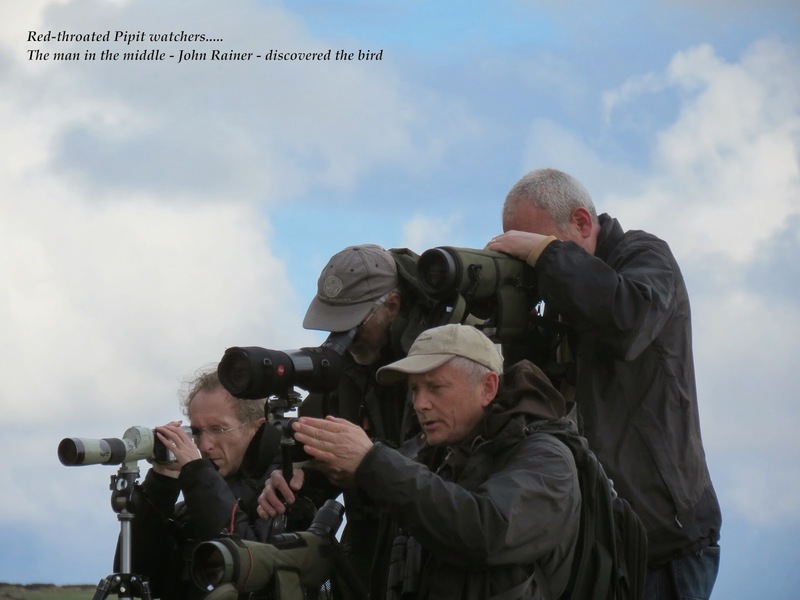 By some surprise, the bird was still present Bank Holiday Monday (4th May), attracting upwards of a further 400 twitchers from far and wide. 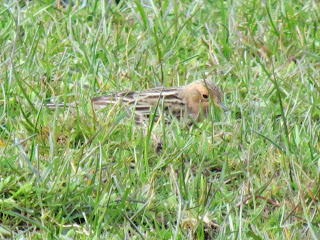 It represents the third record for Derbyshire following singles at Rother Valley Country Park from 20-23 May 1985 and Hillyfields, Poolsbrook Country Park, on 23-24 April 1996.